S M Ong: Recapping The Straits Times Run At The Hub 2015: Haze? What haze? Recapping The Straits Times Run At The Hub 2015: Haze? What haze? 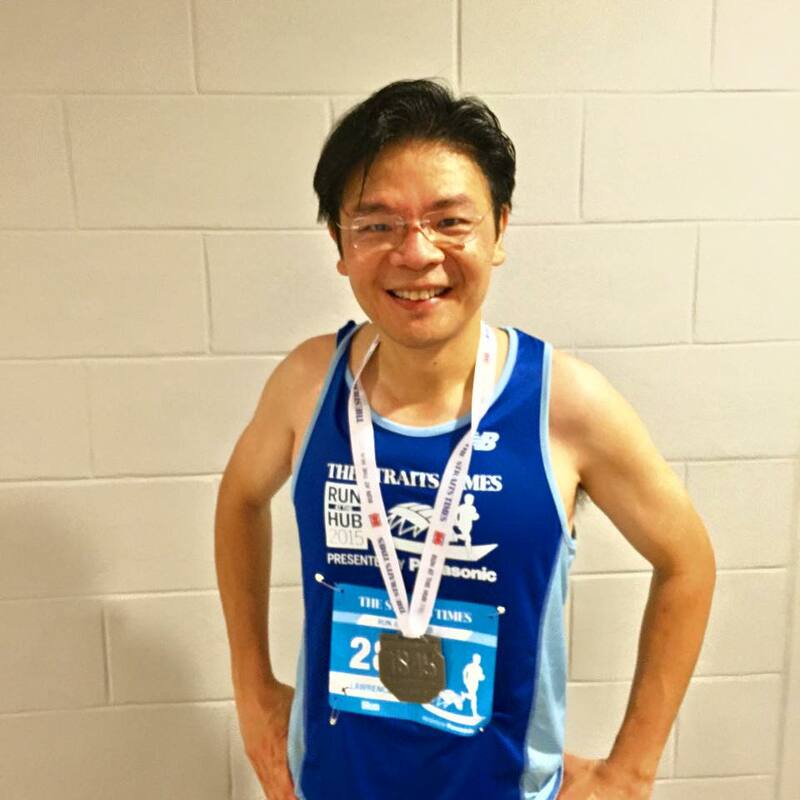 I ran the 10km instead of the half marathon in The Straits Times Run last year. This year, there's no 21km half marathon. 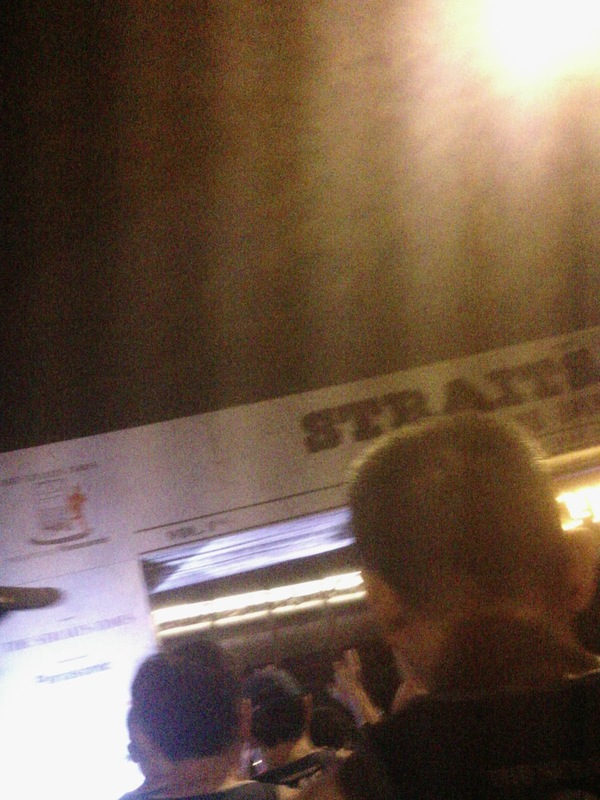 Instead, it's 18.45km, you know, because The Straits Times was supposedly founded in 1845. Yeah, that makes sense. 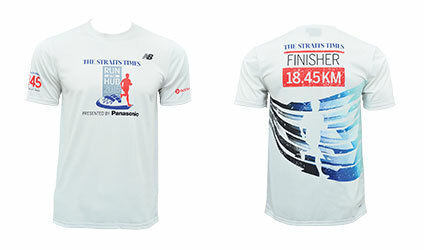 Since only 18.45km runners get the finisher's T-shirt, I of course had to join the 18.45km category even though the shirt is rather ugly. Last week, it seemed the event would likely be cancelled because of the haze. It was quite suspenseful checking the PSI on Saturday night and waiting for the announcement. But as if someone at SPH was controlling the haze, the PSI compliantly went below 100 for the first time in days just so the ST Run could go on. It was uncanny. 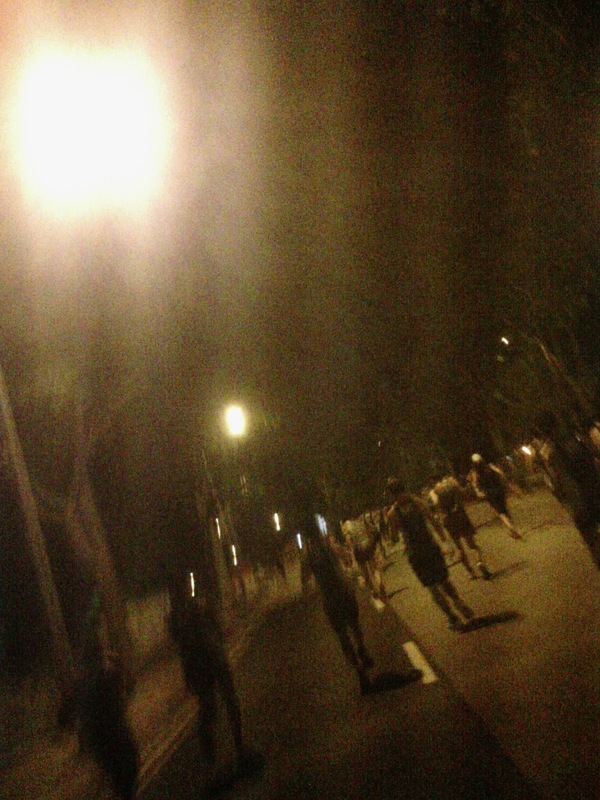 Flag-off was at 5am yesterday near the Sports Hub. My work ended at 1am. I decided to head for the Hub straight from the office, so I didn't get any sleep at all. I reached the Hub way too early at around 3.40am. I almost fell asleep standing up while waiting for the flag-off at the starting line. Runners (including myself) taking pictures of the starting line. The Straits Times editor flagged off the run promptly at 5am. This punctuality surprisingly doesn't happen often enough at the races I've joined. It was good that in the early part of the race, the route was very wide to accomodate the huge crowd of runners. 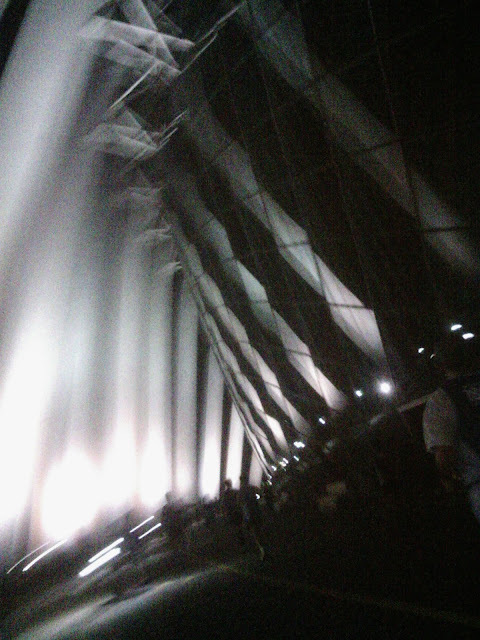 Running under the distinctive arches of the Flower Dome at Gardens By The Bay. The same dome from across the bay many minutes later. I decided to take my time to survive the long distance and slowed down to almost walking speed after the half-way mark. Another selfie on the run with the Singapore Flyer in the background. A runner (sitting in gurney) getting help from an ambulance crew. One way the ST Run cheat your feelings is that you see the dome and you think you're almost near the finish line, but you actually still have more than 1km to go and you're already limping. My target was to finish the race in under two and a half hours, and I just made it. It was funny to hear the announcer inside the dome having to keep reminding runners not to take pictures before crossing the finish line. The danger is if you stop to take photos, you're blocking the way and other runners could run into you. I wonder how organisers will handle this problem in the future. Will they enforce stricter rules against picture-taking by runners near the finish line? Or will they accomodate this behaviour and find a way to make it safer? I spotted Mr Teo Ser Luck (Minister of State, Ministry of Trade and Industry and Mayor, North East District) among the runners. He is more bulked up than I thought. He's second from right in the picture above. I also saw another minister, Mr Lawrence Wong. He is more petite than I thought. Although the run was supposed to be 18.45k, my running app says it was more than 19k. I've never felt more pain after a run despite having done two half marathons. I should just stick to 10k or below from now on. But I've already signed up for the 13km run in The North Face 100 at MacRitchie in two weeks. I've even bought the shoes. Maybe it will be cancelled because of the haze. Speaking of which, after the ST Run, the PSI went up again.